Find out more about our contact opportunities and how to get to our Headquarters in Dresden/Germany. Starting at Wilhelmine Reichard Ring, turn right onto Hermann-Reichelt-Straße (Hermann Reichelt Street). Continue straight, cross first traffic light crossing; then, after 2 km, enter A4 toward Chemnitz/Leipzig. At junction, take A17 in the direction of Prague. Take exit 4 “Dresden Prohlis”, turn right in the direction of Freital (S191n). At the traffic light, turn right toward Dresden (Autobahnmeisterei), and after 500 m, DAS Environmental Experts will be on your left. Starting at Wilhelmine Reichard Ring, turn right onto Hermann-Reichelt-Straße (Herman Reichelt Street). At first traffic light crossing, turn left onto Karl-Marx-Straße (Karl Marx Street)/B97; and, at the end of the street, turn right into Königsbrücker Landstraße (Königsbrücker Country Road)/B97. Continue driving in the direction of the city center to Albertplatz. Continue straight through Albertplatz onto Albert Straße (Albert Street)/B170, which, after Carolabrücke (Carola Bridge), turns into St. Petersburg Straße/B170. At the third traffic light crossing after the bridge, turn left into Bürgerwiese, and continue on Teplitzer Straße (Teplitzer Street)/B172, in the direction of Pirna. After 2 km, turn right into Wilhelm-Franke-Straße (Wilhelm Franke Street)/K6203. At the roundabout, take the second exit, drive about 2 km out-of-town (direction A17). 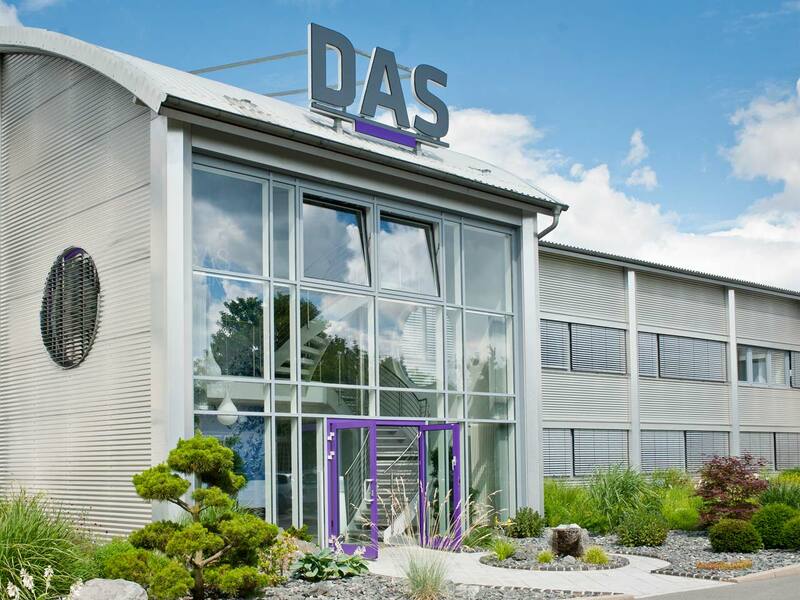 DAS Environmental Experts is located on the right. Take Exit 4 “Dresden-Prohlis”, turn right toward Freital (S191n). At the next traffic light turn right, in the direction of Dresden (Autobahnmeisterei), and travel 500 m. DAS Environmental Expert is located on the left. At St. Petersburger Street, turn either toward Bürgerwiese, Wiener Straße (Vienna Street) or Strehlener Straße (Strehlener Street). Continue on B172 Teplitzer Straße (Teplitzer Street), in the direction of Pirna, then onto Wilhelm-Franke Straße (Wilhelm Franke Street), K6203. At the roundabout, take the second exit, and continue about 2 km toward A17. DAS Environmental Experts is located on the right. You will find a taxi stand directly in front of the exit of the airport building on Wilhelmine Reichard Ring. Depending on traffic, it will take 30-to-60 minutes to DAS Environmental Experts. Take S-Bahn (the suburban train) Line 2 in the direction of Pirna. From Dresden Airport, the train makes eight (8) stops to Dresden Strehlen. At Dresden Strehlen, change to bus line 75/direction Goppeln. It is 13 stops to Gombsener Straße (Gombsener Street), or Leubnitzer Höhe (Leubnitz Heights). After walking about 200 m, you will find DAS Environmental Experts on your right. Our offices in Taiwan, China, Singapore, Hong Kong, Argentina, Peru and the USA guarantee professional sales and service at our customers´site.